This is a foreign exchange guide to Monaco, the Euro currency plus EUR transfers and travel tips. 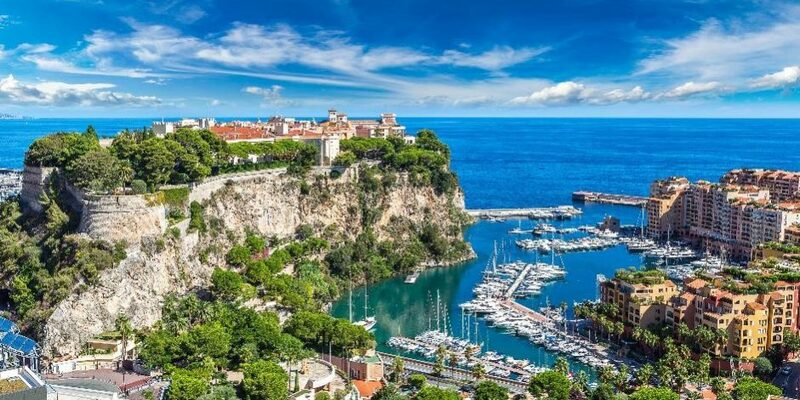 Squeezed into just 200 hectares, Monaco might be the world’s second-smallest country (only the Vatican is smaller), but what it lacks in size it makes up for in attitude. A magnet for high-rollers and hedonists since the early 20th century, it's also renowned as one of the world's most notorious tax havens and home to the annual Formula One Grand Prix. Despite its prodigious wealth, Monaco is far from being the French Riviera's prettiest town. World-famous Monte Carlo is basically an ode to concrete and glass, dominated by high-rise hotels, super yachts and apartment blocks. In dramatic contrast, the rocky outcrop known as Le Rocher, jutting out on the south side of the port, is crowned by a rather charming old town, home to the principality's royal palace. The official language of Monaco is French. However, the national language is Monegasque, which is spoken by roughly 20 percent of the principality’s population, and is similar to Italian. Italian is also used by many residents, as well as some German. It is easy to get around Monaco with English, with most people working in the tourism industry speaking English. What currency to use in Monaco? Monaco uses the euro as its official currency, despite the fact that it is not part of the EU.. There are plenty of ATMs in Monte Carlo where you can withdraw Euros. If you plan on withdrawing money or using your credit card while travelling, don't forget to notify your bank before you go for security purposes and to check what international withdrawal fees may apply to your card. Money is easily changed at airports, hotels, banks, and currency exchange kiosks. There are also currency exchange ATMs, which allows visitors to exchange money, as well as regular ATMs throughout the principality. How to get around in Monaco? All the regular transport options are available in Monte Carlo like buses, taxis and hire cars, but they also have something very different. Elevators. People actually take elevators around town. Monte Carlo has a system of free public elevators that takes people from downtown Monte Carlo to nearby districts if you can't be bothered walking. It’s really easy to simply walk around the city. If the winding streets ever tire you though, you can always jump on public elevator, which operate 24 hours a day. Head to the Central Tourist Centre to pick up a map to locate the 7 elevators. Monte Carlo also has a very efficient bus service that operates 5 different routes that’ll take you to Monaco-Ville, Saint Roman, Casino, Jardin Exotique, Larvotto, Gare, Fontvieille and Hôpital. The solar-powered Bateau Bus sails back and forth across the harbour between quai Antoine 1er (Monaco Ville) and quai des États-Unis (Monte Carlo). Boats make the four-minute crossing every 20 minutes from 8am to 7.50pm; buy tickets on board (€2) or from machines at the docks (€1.50). Driving is not the best way to get around Monaco; major thoroughfares are crowded, traffic patterns are convoluted and on-street parking is limited. You're generally better off walking or taking public transport. 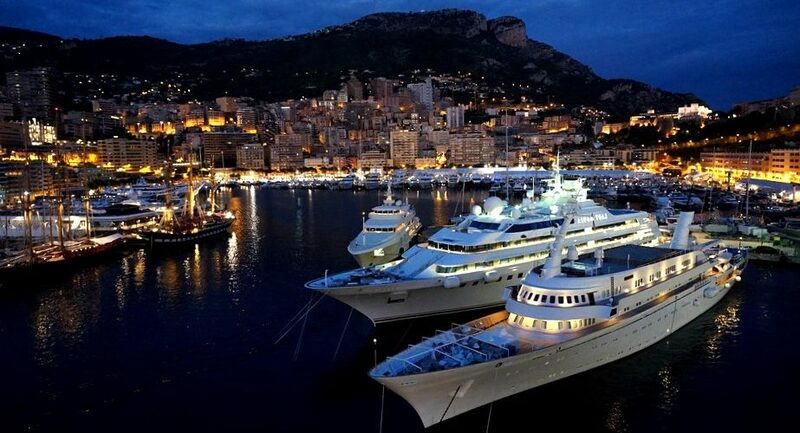 Perhaps the attraction that best exemplifies Monaco's capital city is its casino. The building's beaux-arts design was overseen by Charles Garnier, architect of the Paris opera. And likewise, this grand casino also contains the city's opera and ballet. If this complex looks familiar, it's because you may have seen it before in the James Bond films, "Never Say Never Again" and "Goldeneye." It was also the inspiration for the casino in Ian Fleming’s first Bond book, "Casino Royale." When searching around for information on how to get a good exchange rate when sending money to Monaco you need to start with finding out the latest Euro foreign-transfer exchange rate. Can foreigners buy property in Monaco? A new register disclosing to true beneficiaries of companies that own Monaco property will remove confidentiality. The major tax break for people who own property in this way disappeared in 2011 when the rule exempting sales of property owned by foreign entities from sales tax (up to 9%) was withdrawn. What are benefits of Monaco residential tax status in Monaco? Residents are also having to work harder to prove they deserve Monaco's beneficial residential tax status which includes in most cases zero tax on income and on capital gains accrued abroad. Anyone applying for, or renewing, their visa is facing more stringent checks to utilities and local expenditure to check that they actually live in Monaco. What prime property does $US1m buy in Monaco? The area (㎡) of prime property that $US1million buys in Monaco (Q1 2018) is a very small and cozy 15㎡. This is compared to equivalent areas for Hong Kong 22㎡, New York 25㎡, London 27㎡, Singapore 37㎡, Paris 45㎡, Shanghai 50㎡, Los Angeles 58㎡, Tokyo 70㎡, Berlin 74㎡, Miami 78㎡, Mumbai 94㎡, Istanbul 110㎡, Dubai 138㎡ and San Paulo 172㎡. Average prime sale prices in the last year were roughly 41,000 euros per square metre nearly, three times the average price for New York. Once your funds are received by the provider the converted EUR amount will be transfered to the recipient account you specify in Monaco.